There’s a new apple in the Aussie backyard. With their firm crimson skin and unique red flesh, these “revolutionary” beauties from Switzerland have already taken root across Europe, the UK and North America. And now, in 2017, they’re available for the first time throughout Australia. Redlove apples on the tree. Photo used with permission from Lenswood Co-op. That said, Lubera only consider the Redloves apples on the outside. The bright pink flesh, curious internal markings and unusual flavour suggest these might be “a new type of fruit just as distinguishable from the apple as nectarines and peaches”. What’s inside certainly counts. 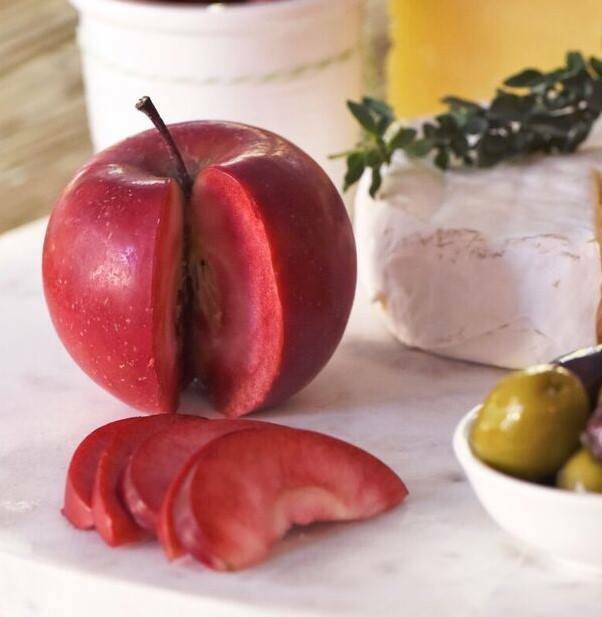 Redloves are said to boast an abundance of anthocyanin and around 30% more antioxidants than the average apple. What’s more, they don’t turn brown when cut (probably due to all those antioxidants) and retain their colour when cooked. 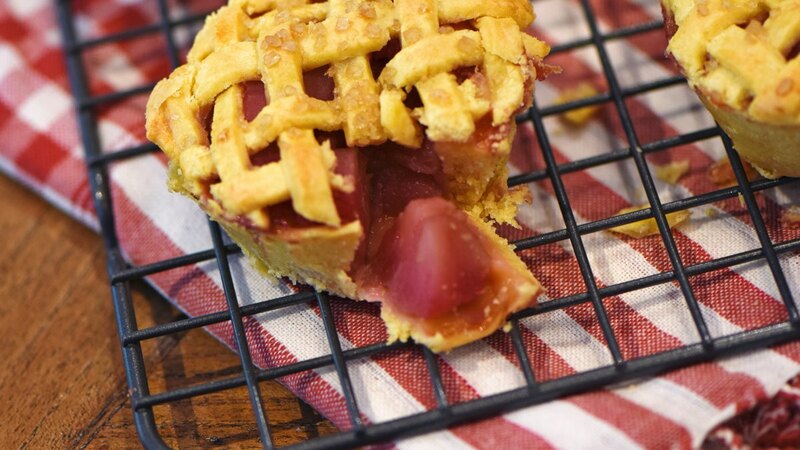 This makes them the perfect apple for those dressed-to-impress desserts. Red on the outside, red on the inside. Photo used with permission from Redlove Apple Australia. Redlove apples stay red when cooked. Photo used with permission from Redlove Apple Australia. Redlove serving suggestions. Photo used with permission from Redlove Apple Australia. 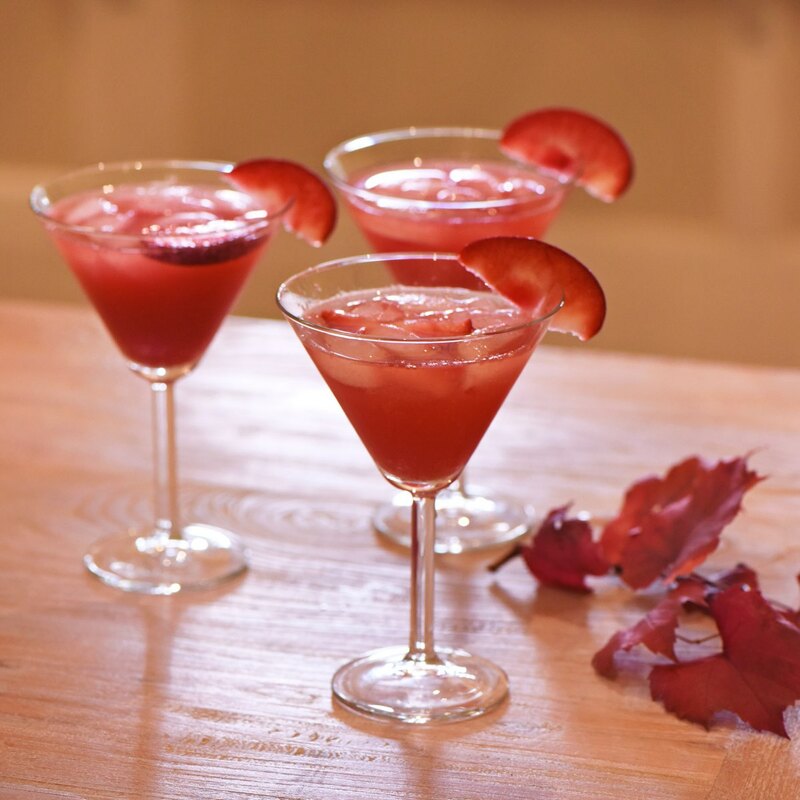 Wow – a rich Redlove cocktail. Photo used with permission from Redlove Apple Australia. WA’s Redlove supply is cultivated at Domus Nursery, a little wholesaler up in the Perth hills. They say their biggest challenge was in dealing with how vigorously their plants performed over the growing season. Where new plant releases tend to hit the eastern states first, Domus’ stock was ready for sale a month ahead of schedule. This meant an early February release in WA, earning Redloves the unofficial nickname of “the Valentine apple”. 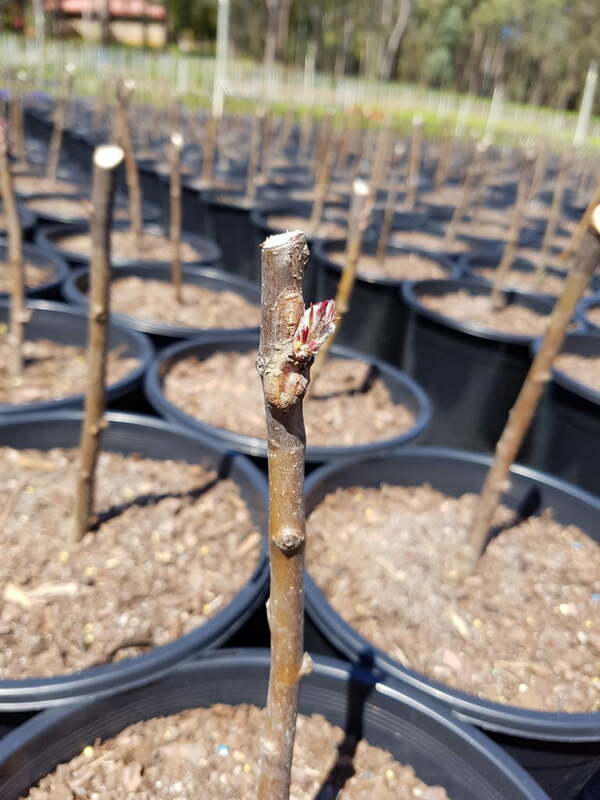 Behind the scenes: Budded wood, ready to grow. Photo used with permission from Domus Nursery. Domus’ success with this species in WA bodes well for other regions of the country. They expect gardeners in the tropical zones (Broome, Darwin, FNQ, etc.) will struggle, but planted in full sun with a regular water supply, Redloves should do just fine in areas further south and away from the coast. Domus’ main recommendation for home gardeners is to protect the plants from winds to prevent excessive transpiration. On the growing front, these plants are scab-resistant with minimal pest- and disease-related issues. Redloves are a dwarf species, reaching only 2-3m in height, making them suitable for pots, balcony gardens and espalier. If potting, use an Australian premium standard potting mix plus a slow-release fertiliser in Spring. Domus recommend also pruning the growing tip to encourage branching. Redlove flowers and foliage. Photo used with permission from Domus Nursery. 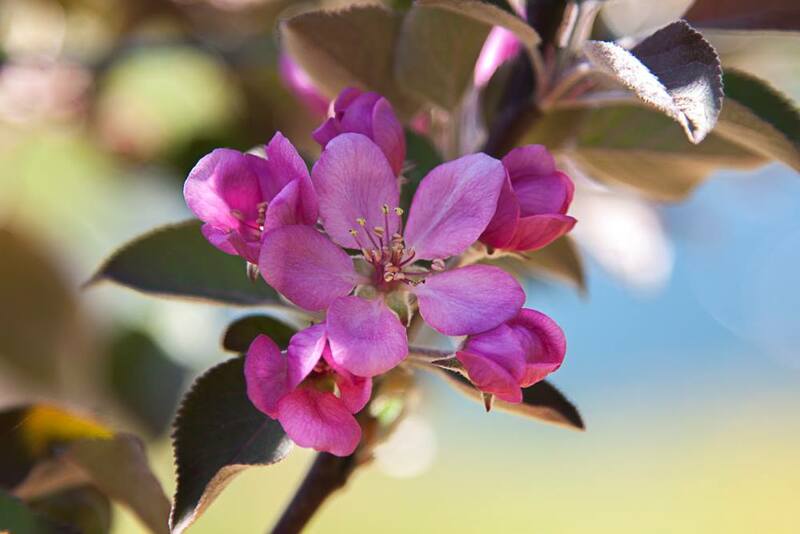 Intense pink flowers on the Redlove apple. Photo used with permission from Redlove Apple Australia. Would this Redlove Apple tree require minimum chill hours to fruit? I live in the hinterland of Tweed Heads on a hill of 260 meters high. Night temp drops between 5-15C degree in the winter time. I wonder whether it would be worthwhile to grow a few trees in my garde.? When is the best time to repot (espalier) and cut the growing tip of this dwarf tree? Gift received 14 May; it is almost 2 meters in height with one main trunk. Perth Hills area. Thank you. Hey Charisse! Your tree should be going dormant now. The nursery suggests denuding all the leaves (any that fail to fall) and repotting in early spring. You can trim and train your redlove any time of year, but the new spring shoots will be softer and easier to work with. Thank you Sandy. Cheers ! Hi, regarding cross pollination required for fruit which variety is good with this apple? Will Redlove pollinate the Granny Smith? We’ve been given two redlove’s for christmas, will we need to get a pink lady/granny smith to ensure they fruit? Or just hope someone has one near by? We bought a Redlove last year, we don’t have any other apples in our garden but have 1 little apple on our tree so someone in the neighbour hood must have a pollinator . You could always give it a year to see if it fruits if it does bonus! 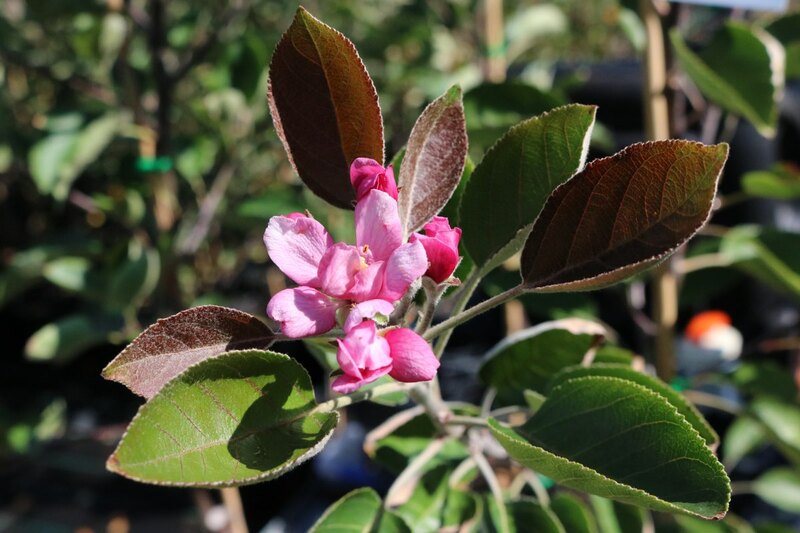 you won’t have to buy a pink lady or Granny Smith someone has an apple tree near you. Hi Duncan — Patricia nailed it. The nursery says one of their customers got fruit off a solitary tree (could it have been Patricia?). 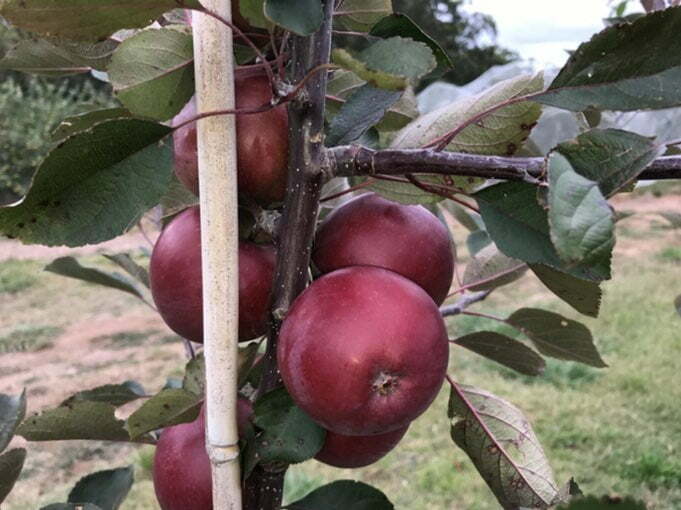 A pink lady/granny smith would ensure pollination, but you could always chance it with just one tree. Hi Mary, great to hear about the fruiting! It sounds like the Ballerina might have cross pollinated with your Redlove after all. 🙂 I passed on your question to our Redlove experts here in WA and they reckon you should be able to to use it — they let me know that Redloves are out in garden centres across Australia now, so you should be able to find more local advice about this from sellers closer to home. I am from San Diego CA and I am interested to plant a red love apple tree.How do I purchase one?? Check Craigslist. There is a seller selling them. What altitude RED LOVE APPLES SHOULD BE GROWN?